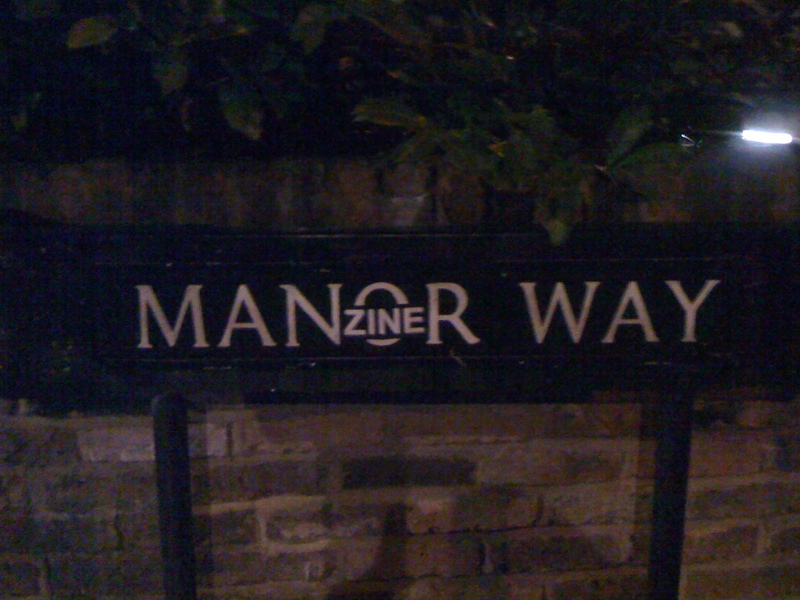 I don’t know who the hell did this but it was my first sighting of a Manzine takeover, in Blackheath of all places. I really like the way the sticker evokes the old London Underground signage and I also like the fact that the sticker seems to have longevity. Two days after I took this picture, I took a 202 down from Blackheath to Lee Green and it was still there. I was a big fan of Dom Murphy’s Stickernation website which ran until the mid 2000s, and collected some brilliant examples of sticker graf, and it’s nice to see that the beautifying impetus behind street art is still around. That’s the evolution of man(zine), right there. 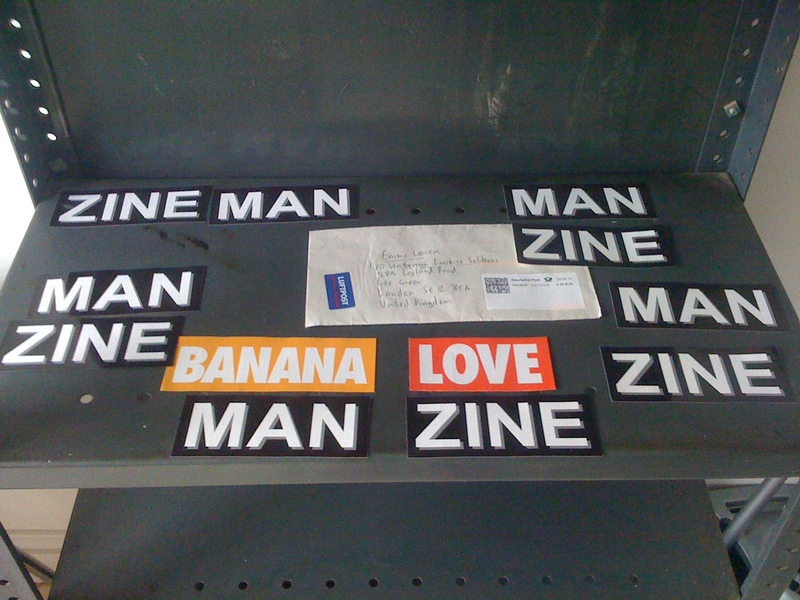 The marvellously inventive Kevin Braddock sent me an envelope of stickers which arrived yesterday. He runs an excellent publication titled Manzine which everyone, male or female, should attempt to bring into their lives. It’s just a really really really good read, by turns funny, thought-provoking and charming. The stickers, as you can probably see, are just asking to be surreptitiously added to prime spots over coming weeks. Special prizes to anyone who manages to get a picture of a Zine stuck after the Man on TopMan in Oxford St.